Mazda South Africa has quietly been reaching good sales figures each month. 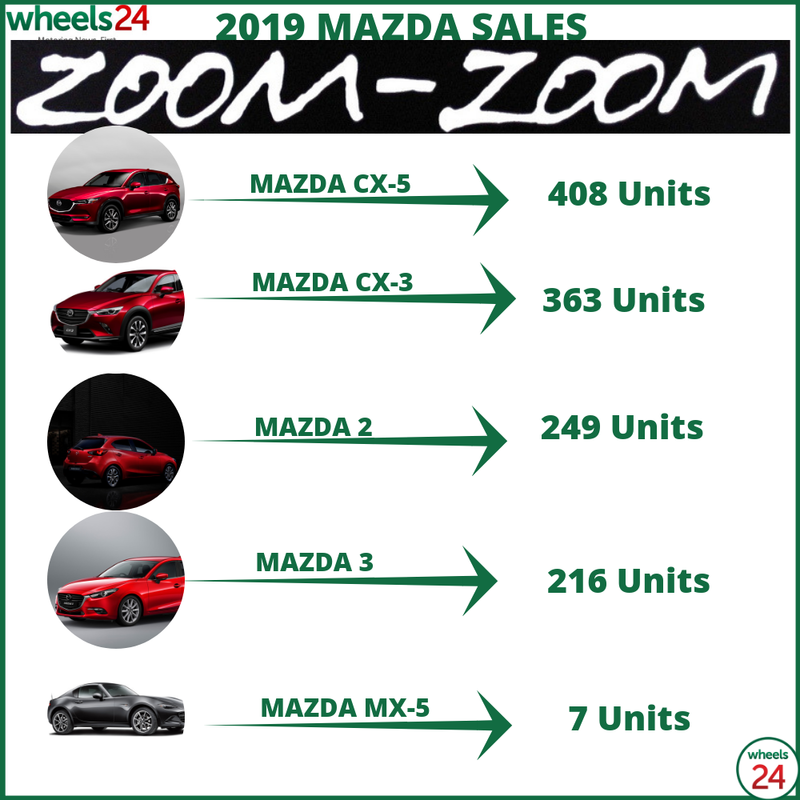 The Japanese automaker Mazda kicks off 2019 with a stellar month of 1243 passenger cars sold in January, according to the latest Naamsa figures. The CX-5 is the brand's flagship model and also its top-volume seller with 408 units sold during the first month of the year. The smaller CX-3 is hot on its tail with 363 units sold. The Mazda2 sold 249 units while the larger Mazda3 saw 216 units sold. The sporty MX-5 is still a firm favourite in SA with the little sports car finding seven new owners.